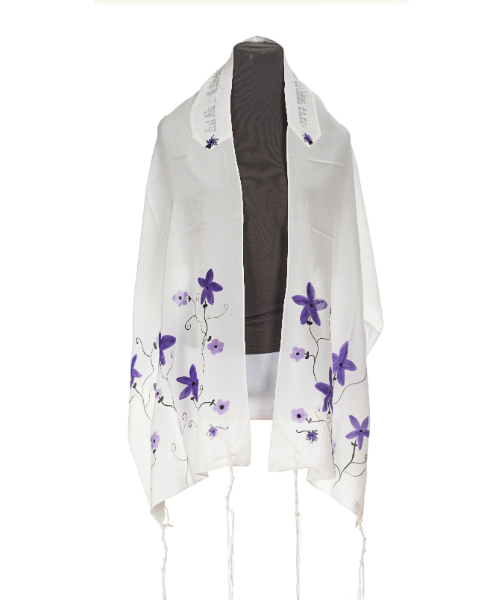 Wonderful for a Bat Mitzvah or a wedding, this lovely Galilee Silks women's tallit is a stylish, pretty design with white silk hand painted with purple flowers. Classy and unique, it makes a great choice for a wedding or a Bat Mitzvah. 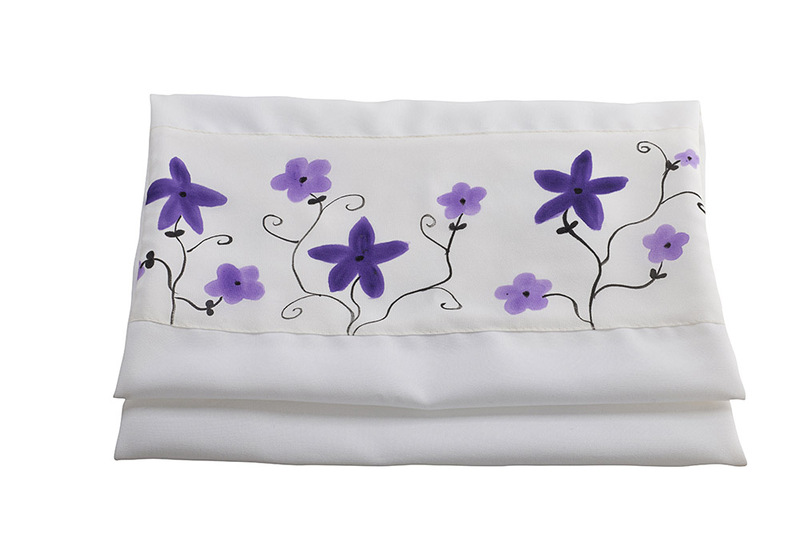 This gorgeous silk Tallit by galilee silks is white silk with purple flowers had painted onto it. A lovely design full of the appreciation of the world God created, this handmade women's tallit is perfect for a wedding or Bat Mitzvah. 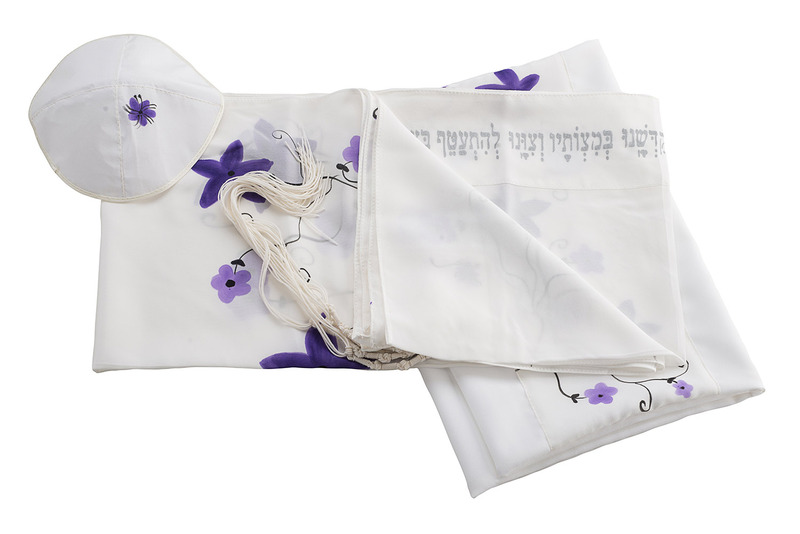 An inspiring, elegant design makes this tallit prayer shawl unique and classy, the perfect way to inspire your prayers to reach the next level. I was very pleased with the help I received from Avi for ordering Shabbat candlesticks for my great-niece' wedding.